The new expert in hair color brings you a take-home salon service to keep professional color fresh every time you condition! The Color Enhancers offer stylists a multitude of easy opportunities to build revenue by retailing the ideal Color Enhancer to every client who gets a color service done, creating an express color boost service in-between visits or even as an add it on to a blow-dry service! 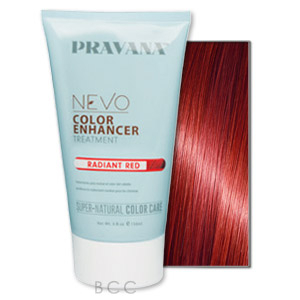 Maintain the brilliance of your color and the health of your hair between salon services. Shampoo hair and wring out or towel-dry to remove excess moisture. Distribute through hair, leave on for 1-2 minutes, rinse style as desired.